The first used Nikon Z cameras are already listed for sale at B&H with up to 15% discount from the original price. Amazon has no used Z7 cameras (only grey market labeled as used). Ebay currently has no used Z7 cameras. Adorama has a demo Nikkor Z 35mm f/1.8 S lens ($35 off). 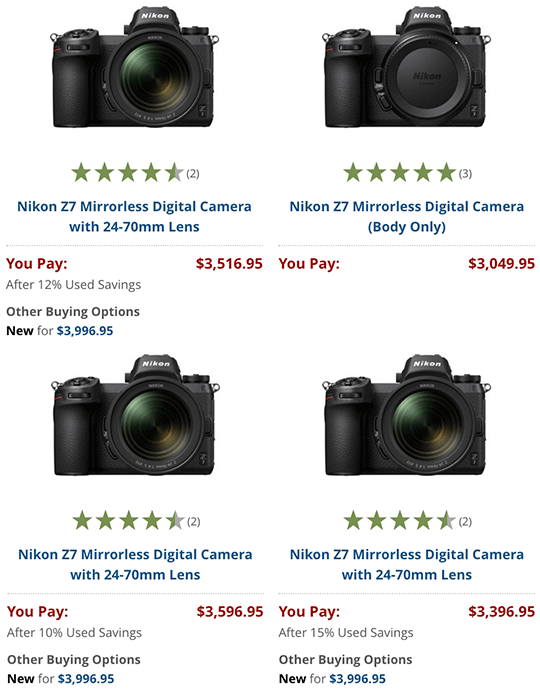 The post Used Nikon Z7 cameras now available at B&H (up to 15% off regular price) appeared first on Nikon Rumors.